Angel Number 72, when it happens in your life repeatedly, indicates that you have been working relentlessly for the good of humanity and serving others unconditionally. Angels are also appreciative of your charitable work as well as your persistence in acting on your divine life objectives and principles of your existence. This has resulted in peace and stability in your life and your behavior with others has become cordial and affable. Your efforts are being recognized by the guardian angels. You have their full confidence and assistance in the continuation of the present activities. Angel number 72 comprises of the qualities and attributes of Number 7 and Number 2. Number 7 relates to understanding and excellent destiny, wisdom, liberty, intuitive capabilities and diligence in fulfilling goals. Number 7 mainly deals with spiritual studies, spiritual beginnings, expansion and illumination. Number 2 has the vibrations of divine principles of life and individual life objectives, accord, amity, teamwork and affiliations. It also stands for contradictions, loyalty and beliefs, accessibility, kindness, stability and poise, affections, perception and feeling. 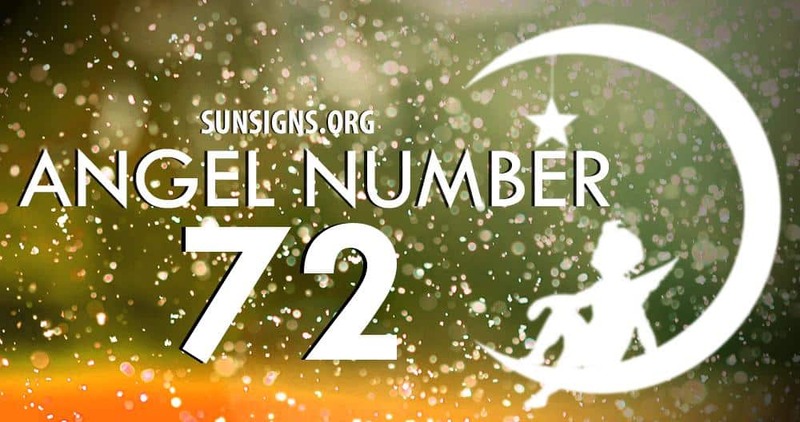 Angel Number 72 is a message from the angelic numbers that they are aware that while you are taking major decisions and selecting the right methods, your brainpower, your feelings and your awareness are coming into play. You are being persuaded by the angels to carry on with the good work you are doing, and the angel number 72 symbolism along with the celestial forces are there to guide you and help you.